The safest cars on the road: Is yours on the list? Along with style, power and high gas mileage, you want a new car that will protect you in a crash. A good place to start is with vehicles awarded the top safety pick rating for 2012 by the Insurance Institute of Highway Safety, which released its list Thursday of 115 winners. To get that top rating, a car, van or SUV must stand up to crash tests simulating front, side, rear and rollover accidents. The rollover standard has proved especially difficult for many models in the past. IIHS President Adrian Lund noted that the original 2005 ratings contained only 11 models as top picks. The 115 that qualified this year are "a testament to the commitment auto makers have made to go above and beyond minimum safety standards," Lund said. Photos: Safest 2012 cars -- See all 115! Companies with the strongest showing included Subaru, which got top ratings for all five models it sells in the U.S. Toyota Motor North America got the most top picks, with 15 of its Toyota, Lexus and Scion models. 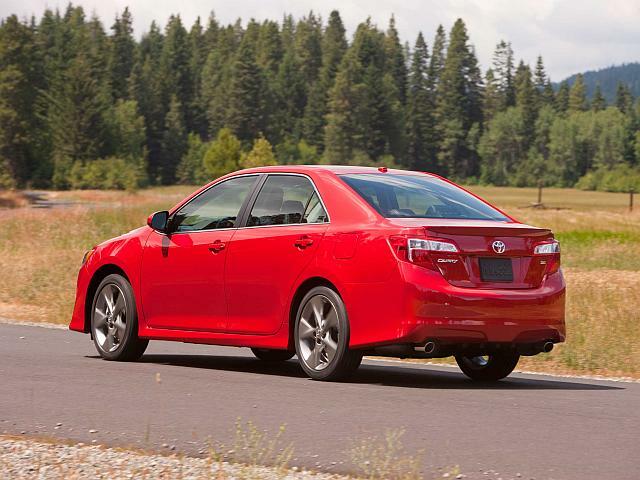 That includes a top pick rating for the first time for the redesigned 2012 Camry. The Camry also got a 5-star rating in tests by the National Highway Traffic Safety Administration -- more difficult now that those tests have been toughened for 2012 models. IIHS also cited Honda of America for the most improvement. Of the 18 vehicles new to top safety pick status this year, 10 of them were Honda or Acura models. "Honda buckled down and upgraded roofs on 10 models that missed winning last year because of rollover protection," says IIHS President Lund. If you are shopping, you can find a top pick model in almost every category. Among high-mileage green cars, the Toyota Prius V -- the bigger version of the original Prius -- qualifies. So do the plug-in Nissan Leaf and Chevrolet Volt. IIHS is keeping its top rating for the Voltdespite an investigation by the National Highway Traffic Safety Administration into battery fires after Volt crash tests. The Institute says it found no special battery problems during or after its crash tests.